1. Someone posts a screenshot, and then you get to caption it - the screenshot MUST be Zelda related (this can include fan-art, screenshots from modded material, etc. as long as it has something to do with Zelda) and abide by ZU rules. 2. a) Whoever posts the screenshot chooses a winner and a runner-up. b) From when the poster submits a picture to caption, there will be a 5 day time frame. The poster must pick a winner no later than 5 days after they have posted. 3. The winner then has 24 hours to post a new screenshot. If they don't, then the runner up has 24 hours to post one. If neither post a screenshot, posting rights are up for grabs. You can't just call it. You must post a picture to claim it. This is to ensure that the game will keep going at a steady pace. 4. PLEASE DO NOT POST A PICTURE UNLESS IT IS YOUR TURN!! If too many people try posting pictures, it will get messy and be hard to follow. 5. a)No copying someone else's caption! Please try to be original. Failure to abide by this rule will be met by a warning and repeated offenses will very likely result in an infraction. b) Only one caption per person! This will let everyone have a chance at winning. 6. Pay attention! Try to post a screenshot that has not been used yet, or at the very least has not been used recently. I didn't have a picture prepared, so we're re-doing the last one. [Mod edit]: Changed the III to a II since the second thread was wiped out by the server disaster, so this is technically the second thread anyway. The post was edited 13 times, last by Big Daddy Biggles ( Aug 30th 2017, 12:55pm ).
" WE FOUND ZU'S LOST DATA "
"So that's where I left my lunchbag!" Pandora's box... what caused the servers to crash. My nose is freaking gone. Link: hmm, there's an inscription, "ZU data Nov 2012-Feb 2013"
King: Meh, just take it, nobody will notice anyway. Link: "Property of U.S. Military". What does that mean? KoRL: It means we don't need the Master Sword anymore. 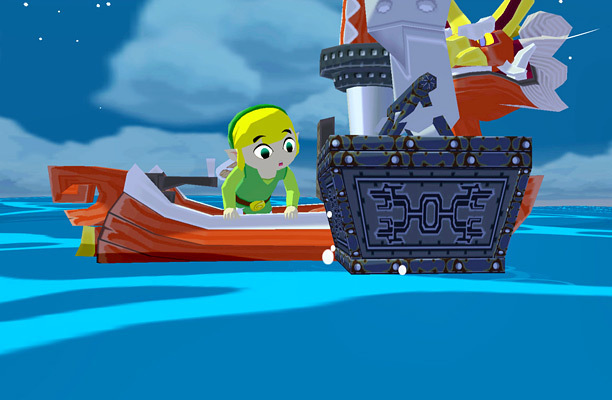 "I hope its not more useless data"
"How many rupees are inside this one, Link?" "The box says... 'Over 9,000'?" "So THAT'S where I put my industrial, state-of-the-art picnic basket!" Link: Whoah! Look at that chest! KoRL: Link you see them everyday.... what's the big deal? Link: Is that the triforce? KoRL: Link, for the thousandth time, NO! Ganon: Now for the greatest instillment of fear! A wise guy once said something. A wise man kept his mouth shut. Here my awesome song..... WRITTEN BY ME! Link: LIAR! IT'S WRITTEN BY MOZART!